The Department for International Development (DFID), representative Mr. Martin Dawson said expectations are heightened for the contractual consideration for the commencement for the Ferry Service will be firmed up by the first week in November. “I am anticipating that the evaluation process will be taking place within the next couple of weeks …hopefully, in time for peak season (Christmas and St. Patrick’s Celebration”. Mr. Dawson explained that his department is working in tandem with the Government of Montserrat to evaluate the tender’s application by prospective operators of the ferry service. Meanwhile, he expressed that the UK’s Department for International Development (DFID) intends to fund the provision of a new ferry service to boost the transportation linkage between Montserrat and other neighbouring islands-particularly Antigua. The new service provider according to Information from DFID will be expected to design, build, and establish the operation of a ferry to provide a fast, safe, reliable, and appropriate ferry service for local and tourist passengers (and their luggage) and suitable dry and refrigerated cargo space for the transport of agricultural products and other goods. The project, according to DFID will begin in 2016/17 with the new ferry envisaged to begin service before the end of 2017/18. Currently, the Government of Montserrat (GoM) supported by DFID, leases a private ferry to service the route between Montserrat and Antigua. In the 2014/15 financial year, about 19,000 passengers used the existing service which operated five days a week subject to weather conditions. Recognising the importance of improving sea access for economic growth and the need for a sustainable long-term solution, DFID and GoM are exploring the feasibility of moving to a government owned ferry and a new service suited to the demands of both tourists and local resident. Premier, the Hon. Donaldson Romeo has expressed his gratitude, while disclosing dialogues were held with (DFID) officials and the Foreign and Commonwealth Office (FCO). It was further agreed that there were mutual commitment between Governments for the introduction of a safe, fast and comfortable ferry service in time for November 2016 ahead of the Christmas season. 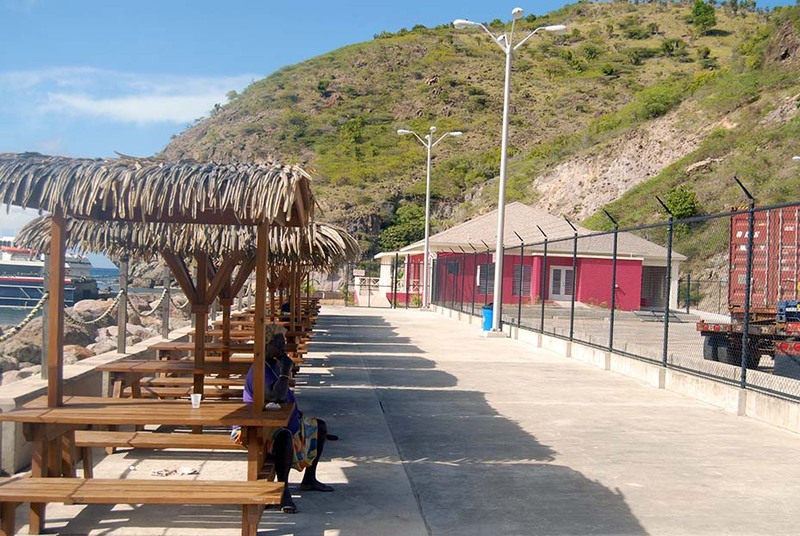 The agreement with the Government of Montserrat is to fast track the procurement process for the service. A commitment has been made to provide a dedicated technical resource to Montserrat to support this process. A joint working team, comprised of GOM and DFID officials have been established to ensure that a ferry service is procured as soon as possible. The Premier expressed that the need for alternative mode of transportation is critical to the people of Montserrat. To this end, the Government of Monserrat continue subsidise airlift between Antigua and the Emerald Isle at a fixed the $400 matching rate to that of the Ferry. Will it be possible to ship a 20X10X10 shipping container either now or sometime in the near future. Thank you for your time and effort. Too busy to read the full Mueller report?